For those looking for the ultimate upgrade we now offer our #1 selling Full size Adjustable Ultra Plush latex mattress made using 100% natural talalay latex and we are giving you our natural Bamboo quilted cover upgrade FREE! 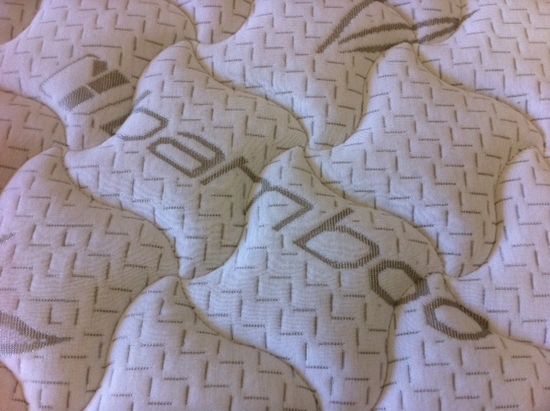 This is an awesome value when you consider you are getting nothing but the best throughout the entire mattress. Not only will you be getting the highest quality latex on the planet but it will be from top to bottom. 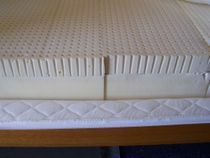 Much of our online competition (especially those on Amazon) claim to sell all natural talalay, but when taking a closer look you'll find it's only in the latex topper, NOT the core itself (usually cheap polyfoam) which is most important and the biggest expense. Bamboo has a soft and luxurious feel combined with it's natural, anti-bacterial properties and moisture managing properties creates fabrics that offer a much nicer sleeping comfort. Fabrics that breathe, have temperature regulating properties and a high abrasion resistance. Bamboo's anti-bacterial natural defenses also act as a natural deodorant, keeping Bamboo mattress fabric fresh and natural. Bamboo fiber is used for its natural anti-fungal properties as well and make it a perfect solution for those suffering from allergies.
. This Full mattress finishes at approx. 9" thick. Core firmness layers available in soft (#28), medium (#32), and firm(#36). Each Full size mattress consists of 2 core halves of latex (watch video). The 2" Talalay latex topper is super soft (#20-24 ILD) and lays over the 6 inch Talalay core of your choice. 3" toppers now available. Choose #20-24 for side sleepers under 200 lbs, #25-29 for back or stomach sleepers or #30-34 for heavier back or stomach sleepers.. These mattresses are designed to ship UPS. Use your existing firm Full size box spring, foundation or platform! Cores are easy to exchange via UPS if you desire a different firmness. 60 day satisfaction guarantee. Returns and exchanges are subject to standard UPS fees! 20 year limited warranty. Assembly is easy, just slip the cores into the zippered cover and add the topper then zip. If a firmer feel is desired just reverse the latex layering so the topper is under the cores. Mattress is 9" thick. Slip covers in matching fabric available for your box springs. Call for pricing. Please select UPS as shipping method when ordering! Check out our KD Wood Foundations if you need to replace your old one. Watch This Installation Video Before You Buy Our Latex Mattress!